Melt butter in saucepan. Add flour and milk, whisk. Add cheese. Cook til thickens up and cheese has melted. 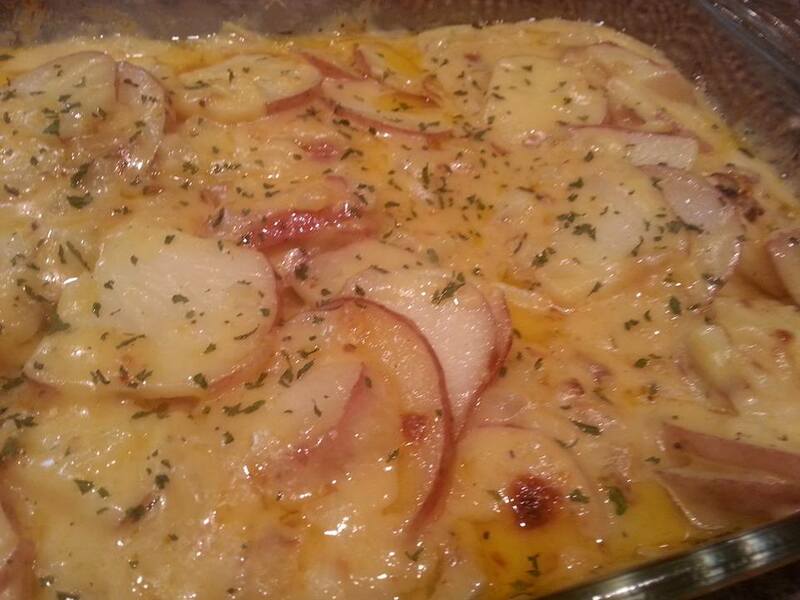 In 9x13 pour a little cheese sauce, sliced potatoes, diced onion. Repeat once but leave enough cheese sauce to top with. Bake uncovered at 350 for 1 hr.